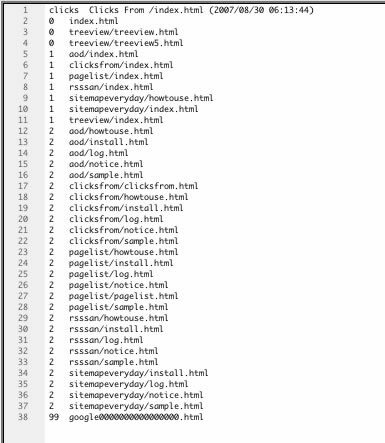 This extension generates the list that reports "How many clicks does it take to arrive to the page". 3steps to make the list. on Files Panel, Right-click and select "Clicks From -> Clicks From /index.html".